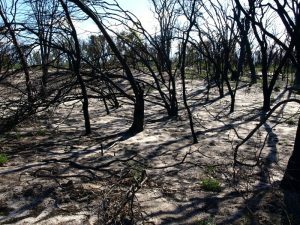 In response to the bushfires in January 2016, Red Cross has been working with the communities in the Shires of Harvey and Waroona to implement a bushfire recovery program. As a resident of the Shire of Waroona or Harvey during the fire, we would like to invite you to contribute to an important evaluation. Make recommendations for improvement, potential replication and scaling up in future programs. By participating in this survey you will be contributing to the continuous improvement of Red Cross programs. In addition, your feedback through answering these questions will assist Red Cross to improve response for communities just like yours into the future. The survey in the below link will take approximately 5-10 minutes to complete, depending on the amount of comment you wish to add. The answers are mainly in a simple tick box format asking your opinions of Red Cross support and whether it has been of benefit to you. Please note that you may skip any questions at any time, however, we really would appreciate you putting time aside to contribute comments if at all possible. Please also note that all responses are 100% anonymous and confidential. The survey closes on Friday 31st of March. We would greatly appreciate you circulating this email and link to your family, friends and networks within the Shires. National release of a new strain of the Rabbit Haemorrhagic Disease Virus, called RHDV1 K5, commenced in the first week of March at more than 600 sites across the country. In Western Australia there have been 135 release sites. RHDV1 K5 is not a new virus, but is a naturally occurring Korean variant of RHDV1 already present in Australia. It is expected that RHDV1 K5 will work better in the cool-wet regions of Australia, where the existing strain has not been so successful. Pest rabbits are Australia’s most destructive agricultural and environmental pest animal, costing upwards of $200 million in lost agricultural production annually. RHDV1 K5 is anticipated to slow down the increase in pest rabbit numbers, by reducing rabbit populations by up to ~ 40%. The goal is for RHDV1 K5 to ‘boost’ current management. The release is the culmination of more than six years of research undertaken by the Invasive Animals Cooperative Research Centre RHD ‘Boost’ project. This is the first release of a new rabbit biocontrol agent in 20 years. Domestic rabbit owners are advised to seek advice from their local veterinarian and use protective biosecurity measures to help keep their rabbits safe from infection. Domestic rabbits with up to date vaccinations for the existing strain are likely to be safe from RHDV1 K5. RHDV1 K5 will be most effective if supported by integrated pest management, with conventional control measures being undertaken following release of the virus. A series of instructional ‘how-to’ videos on best practice rabbit control has been released by the Invasive Animals CRC. Release sites, landholders located close to release sites, and members of the public are urged to get involved by using the RabbitScan (FeralScan) app to report rabbit sightings or signs of disease. This will help track the spread of the virus. Land managers are strongly encouraged to carry out concurrent control for predators such as foxes. The release is being delivered by the Invasive Animals CRC with major financial and in kind resources provided by the Australian and state governments, and industry and non-government organisations. For more information visit DAFWA’s RHDV1 K5 web pages – agric.wa.gov.au/rhdv. For a detailed summary of field and experimental data into the efficacy of RHDV – PestSmart website. The RabbitScan app is available from iTunes or GooglePlay, or can be downloaded from the FeralScan website. The video series on best practice rabbit control can be downloaded from the PestSmart website. 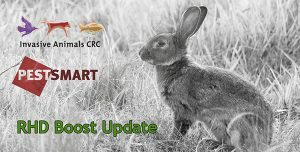 The Invasive Animals CRC issues regular RHD Boost E-updates to report on progress of the release program. To subscribe go to pestsmart.org.au/subscribe. Are you between the ages of 12 and 25 years old? Do you have an interest in what opportunities are provided for youth in the community? 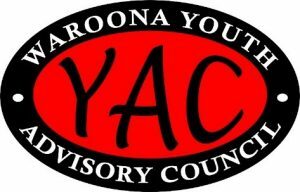 Join Waroona Youth Advisory Council (YAC) today! YAC provides a forum for young people to get together and discuss youth issues, initiatives and projects. We also advise the Shire of Waroona on a wide range of Youth Issues. Waroona’s YAC consists of a group of young people from a variety of backgrounds who represent their community/area. We meet on the 1st Tuesday of each month at 4.30pm at the Shire of Waroona Administration Office. To ensure a diverse representation, we would like members from Waroona, Preston Beach, Lake Clifton and Hamel aged between 12 and 25 years, who attend local and outside schools. The information I posted yesterday was specific to Lake Clifton. 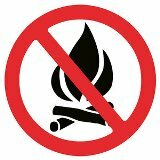 In Herron you are not permitted to light any fire before 1st April and after that a permit is required. As with Lake Clifton, the date could be extended and we will try to let you know if that happens. This is a reminder from your local friendly bushfire brigade that we are still in a prohibited burning period. You must not light any fire until 14 March and between 15 March and 26 April you must have a permit. With the burst of hot weather and no rain in sight, it it very likely that these dates will be extended. You can get the up to date information here. There was a smell of smoke after some showers recently. Possibly just a pile of leaves but if it gets into the dry grass even this can cause a disaster. So please observe the rules and save our volunteers from dealing with yet another major fire.